A safe is an added layer of security to use in your home or business, specifically for items of significant value. When installed, safes are extremely difficult to move as they are usually bolted to the floor and are built specifically to take large impacts. Sometimes there is only so much you can do with securing your home with glass being the main problem. With businesses sometimes fire egress laws can restrict the level of security applied to perimeters. Therefore, a safe properly bolted to a solid surface is sometimes the better alternative. 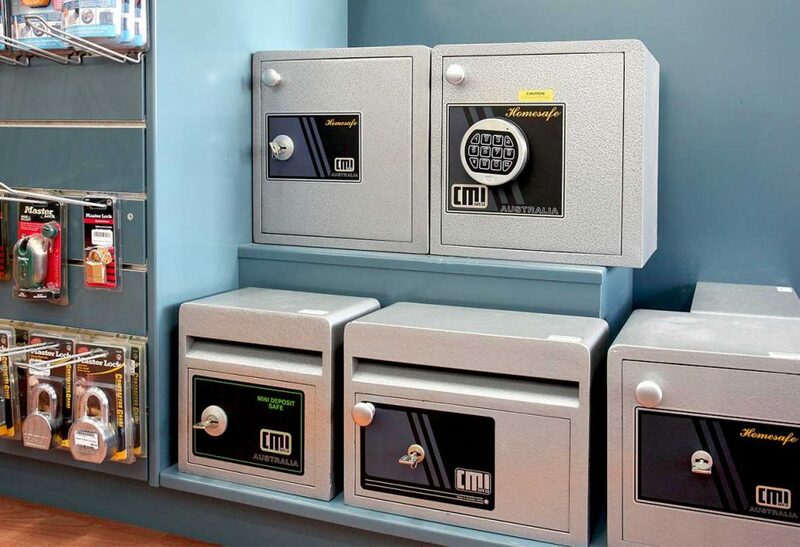 At any given time our showroom stocks at least 20 safes on display. They range from imported budget safes, to quality Australian safes that are fire resistant and not fire resistant. If we don’t have something you require, generally the waiting time is 48 hours for delivery.